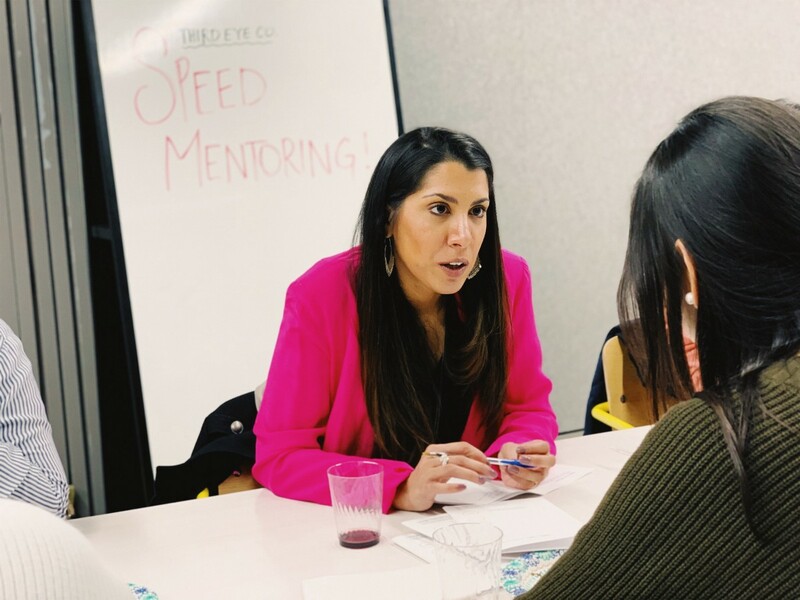 Our speed mentoring night was a little taste of the online Mentorship Platform we’re launching! 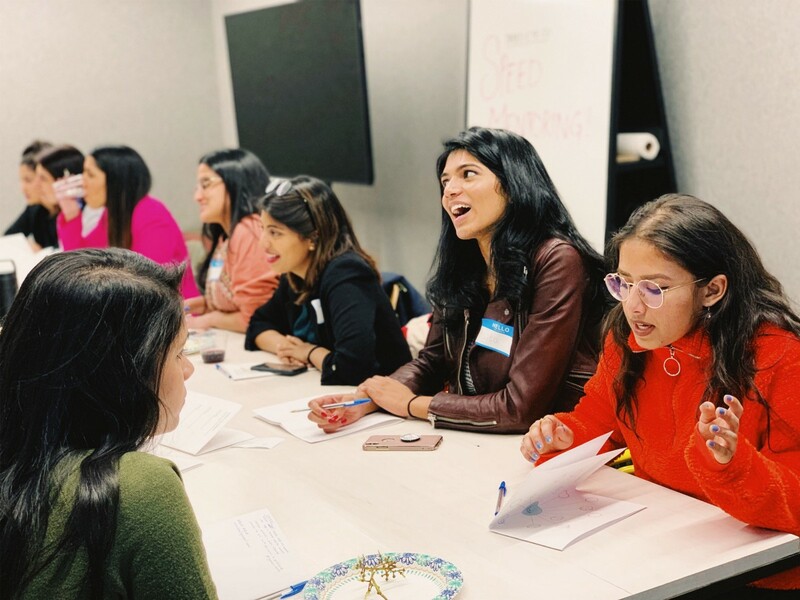 On Feb. 28th, our NYC member base got together to share their work, and build an actionable list of peers to connect with in our cohort. Members Manvita and our mentor, Shanthi, sharing their sides of the coin. It takes a diverse network to advise your way forward — not just one mentor. The best part of Third Eye Collective is the collective. While direct mentorship can be useful when questions are more specific, mapping out a network of the diverse ways we have support is equally important. As a dancer, for example, Ishita might want support from Heena, who promotes South Asian talent in the performing arts, but Ramita (another dancer member) might be a person she can physically practice technique with. Finding people who could fill (or help complete) the gaps in our practice was the biggest mission behind this night. Online vs IRL networks are worlds apart. While we think we have instant access to people through social media, it’s an irreplaceable act to physically sit with community. We set up the event so that all members and mentors would get face-time with each other, sharing overviews of their backgrounds what projects/ideas they’ve been cooking. Even in the few hours of the event itself, we kept hearing how having this dedicated time to establish relationships made the community feel tenfold more personal. We can’t wait to see the collaborative work that comes out of this effort. Keeping ourselves accountable is easier when you let other people in. 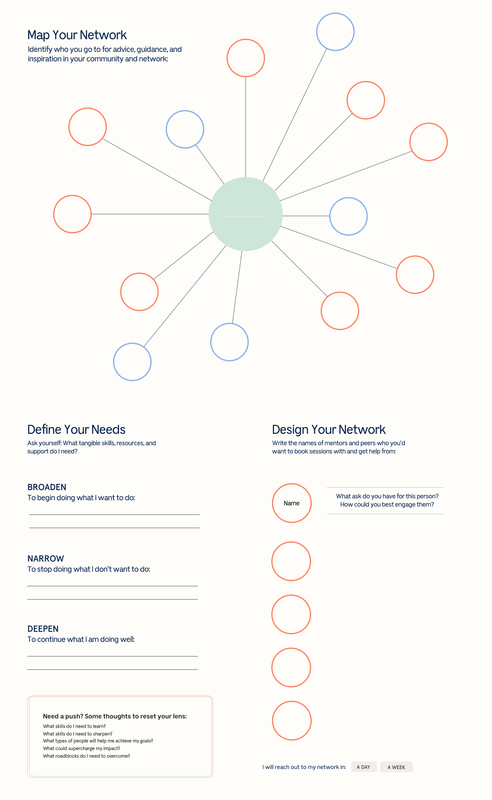 Once we know our network, having a system to keep up those relationships is necessary infrastructure. 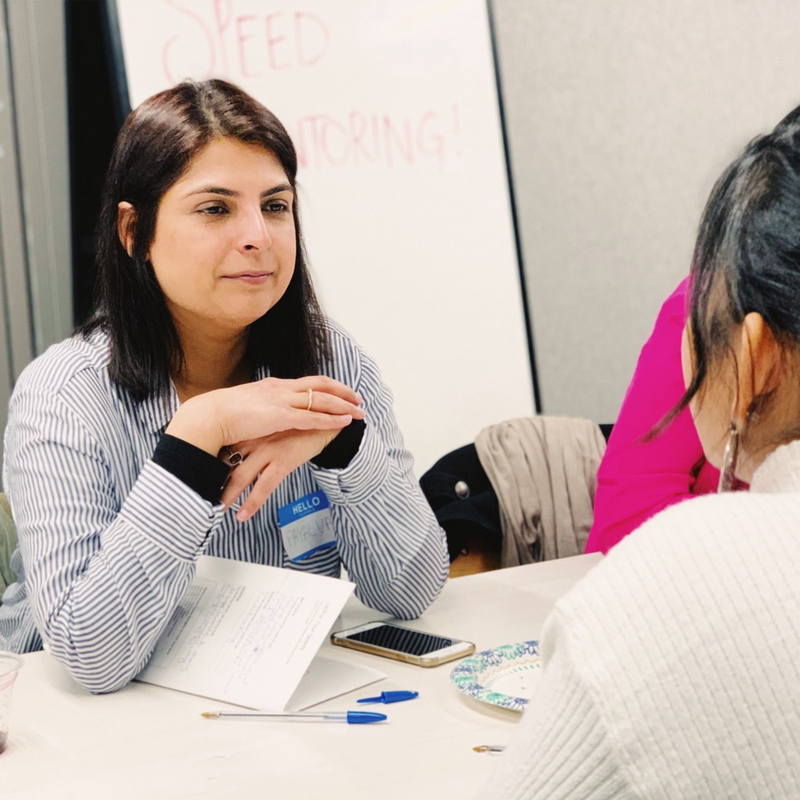 As an organization, keeping that accountability is a big part of what we want to encourage, and is why we hosted this event prior to the release of our Mentorship Platform — knowing the nuances of our interactions with mentors makes it an easier decision to book sessions online: you know exactly what you’ll be getting. Keep an eye out for deets for our next event soon: Portfolio Review with Rashi Birla!